Road safety campaigners and gardaí expressed alarm at a grim three months on Irish roads with fatalities running almost one-third higher than for the same period in 2018. Five people died in five days on Irish roads - with two motorcyclists losing their lives in separate accidents in the space of just 36 hours in Dublin and Cork. In Carlow, five young people - a man in his 20s and four teenage girls - were injured in a single-vehicle accident at Ballinabranagh shortly before noon yesterday. All five were transferred to hospital, two with serious injuries. The latest fatality involved a man in his 40s who died after his motorcycle was in a collision with a car outside Ringaskiddy in Cork on Tuesday. 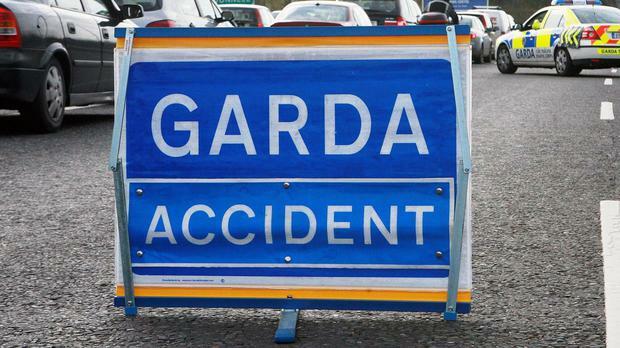 The tragedy brings to 40 the number of people who have died on Irish roads so far this year. It represents almost a one-third increase in fatalities on Irish roads between January and March last year. There is now mounting concern that if the trend is reflected throughout the year, 2019 will mark a major step backwards in terms of road safety.